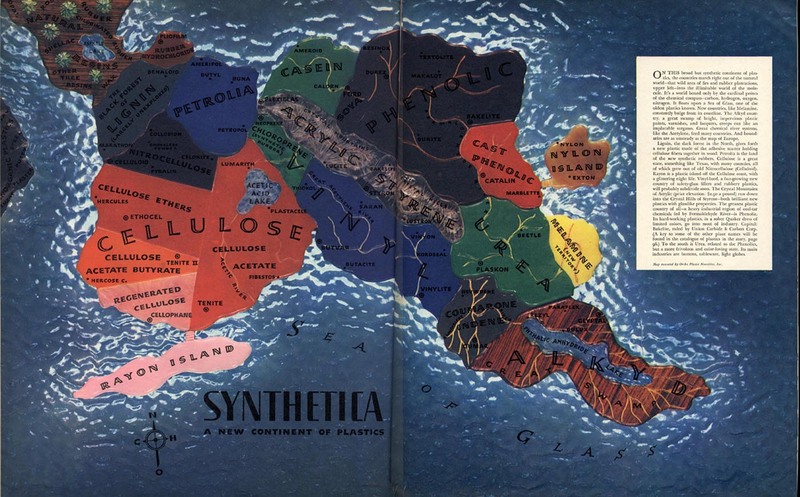 This remarkable map appeared in the issue of Fortune Magazine for October 1940. Slightly resembling South America, a continent of fictional lands each symbolising different aspects of the then still new and exciting world of plastics is shown, floating on a sea of glass. The map was found here at fulltable.